Fans of Fox's show Bones have actress/singer Diana Ross to thank for one of the lead characters. 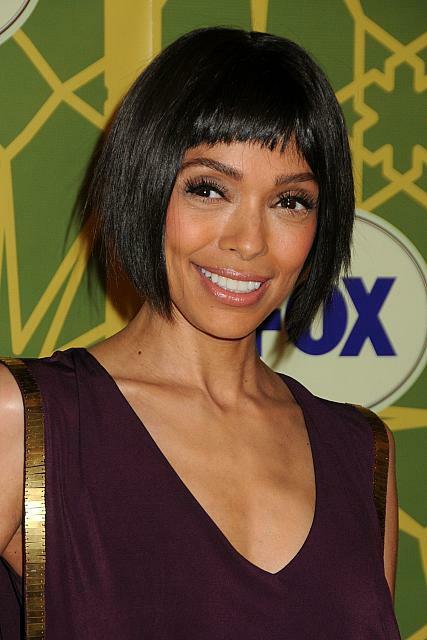 Tamara Taylor, who has played the pivotal role of Dr. Camille Saroyan for six seasons, was inspired to become an actress by Diana Ross. "I saw Mahogany and Lady Sings the Blues when I was little and thought, that's what I want to do," recalls the Canadian-born Taylor. It was an odd career aspiration given that little Tamara was, by her own admission, really shy. "I was an only child and my mom threw me into some modeling classes to get me out of my shell," she says. Taylor didn't follow the usual path of aspiring actors -- no childhood dance or acting classes. The daughter of a Black musician father and a Scottish mom who worked as a property manager, Taylor grew up in Toronto. She says she was "a bit of a pariah" in high school. "I had braces and headgear and pimples," she says, "and I didn't belong to any clubs. But because beauty is only skin deep, when you're not beautiful you're forced to develop other skills." She may have developed other skills, but she also turned into a beauty. Tamara Taylor dropped out of high school because she wanted to try modeling and see the world. Her mother was surprisingly supportive: "School will always be there, she told me." Once she discovered that modeling wasn't her forte, Tamara headed to Los Angeles, encouraged by her good friend, actress Cree Summer. After growing up in Canada, she says it was easy to adjust to life in LA. "I wake up every morning and see a palm tree and the sun shining, and that's a good day," laughs Taylor. After a job as an extra on the TV show A Different World, Taylor quickly began earning roles in TV shows and commercials. It was after appearing in a series of commercials for AT&T that she was first recognized. "Someone walking past me asked if I was the AT&T girl," she recalls, "and she said she loved my hair." Some of the many shows Tamara Taylor appeared in are Party of Five, City of Angels, Lost and NCIS. But she admits that acting and auditioning were terrifying: "The notion of being looked at and having to speak up was so scary," she says. "It's an odd paradox for someone as shy as me to want to do this for a living." Still, she was cast in several well-received films and has been an integral part of Bones for six seasons. When asked what she will do now that Bones is on hiatus, she replies, "I'm not sure. I would like to say I'll solve world hunger or maybe clean the garage." She loves movies, reading and going to the beach and says her aspiration is to be in a kung fu movie emulating her idol Michelle Yeoh. "I tried martial arts classes for three weeks," she says, "but I quit because you actually get hit. I just want to do the movie kind of martial arts." Tamara Taylor, renowned for her exotic beauty, offers a little advice for girls who may not yet have grown into their looks: "Have the pride of the brown girl and know that you'll figure out your own beauty in time." Of herself, she says, "I don't know if anyone ever sees themselves as beautiful. I am all right. Yes, I've landed in my own body and maybe that's good enough."